Crew Boats For Sale - Fast Offshore Crew Supply Vessels - Horizon Ship Brokers, Inc. 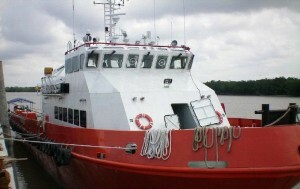 Crew Boats For Sale include Fast Offshore Crew Boats, Offshore Supply and Support Vessels. Crew boats support the offshore oil and gas well platforms and provide support for vessels at anchor such as oil well drill ships. In addition, Crew Boats provide services to near shore and offshore constructions projects. Crew Boats provide safe transportation of personnel in addition to delivering fresh water, stores and equipment to vessels at anchorage and offshore construction sites. Crew boats perform many other tasks as well to include assisting in oil spill and environmental cleanup and recovery. Finally, Crew boats provide assistance in towing other vessels, emergency rescue and salvage work. List Your Crew Boats For Sale – Advertise Your Vessel Worldwide – List with Horizon Ship Brokers, Inc.